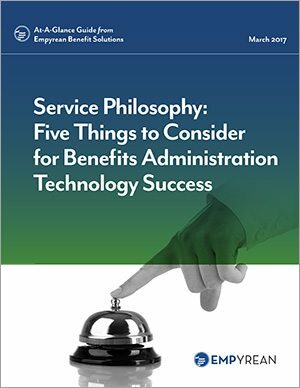 Take a deep dive into five critical service considerations that impact the success of your benefits administration partnership. This guide will help you recognize a provider that will best serve your benefits strategy and support your long-term goals. If you have questions in the meantime, please contact us at sales@goempyrean.com or by calling 1-800-934-1451.